The Robin in the Hood Medieval Festival was started in 2000 as the brainchild of local drama teacher DJ Carroll. DJ’s background in theatre, history and professional performance allowed him to pull together all of his talents to create something wonderful. 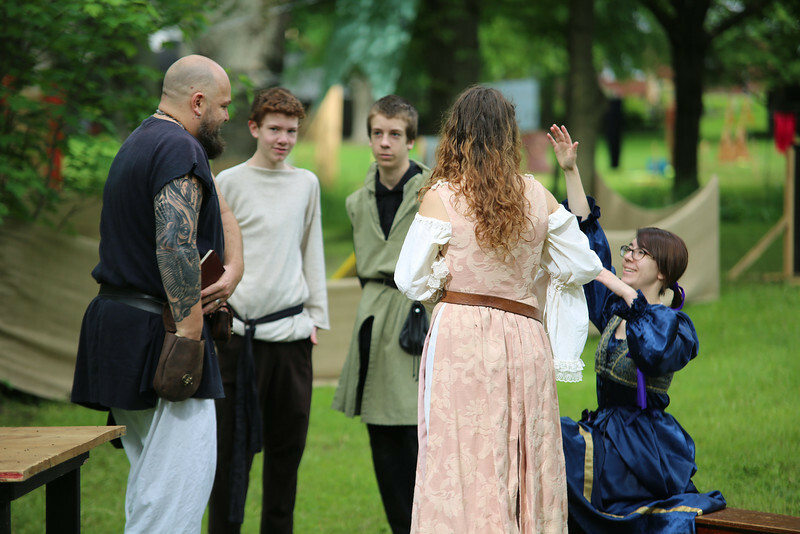 By calling on his drama students, community members, professional performers, service clubs and other sponsors the first annual Robin in the Hood Medieval Festival was born. The festival is a two day event which features an education day on the Friday where close to 1000 grade four students come out and learn about medieval life. These students rotate through a series of hands on workshops that allow a first hand look into history. Festival day is on the Saturday where the park is open to the public and everyone is welcome to come and experience the shows, merchants, and food while becoming part of the on going plot for the day. Huzahh! Come join Robin Hood's merry band of outlaws and pull one over on the Sheriff of Nottingham.